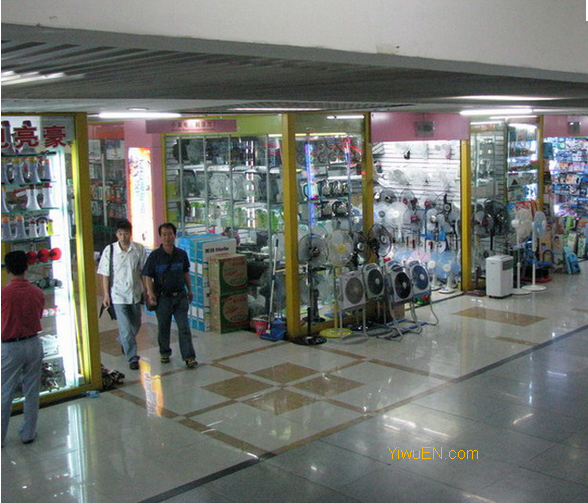 Yiwu electronics market is on the third and fourth floor of 2nd district. The electronic market is one of most famous market of the international commodity trade city. We would like to share the knowledge about Yiwu electronics market. There are more than 2000 showrooms of electronic market with variety electronic instruments. About 80% of them are factory direct sale offices. Agents take a 15% percent, including a 5% percent of general agents and exclusive distributors. As Yiwu is a good big market to compete and show strength. The suppliers choose Yiwu market to put the new productions to the showroom. Most of the suppliers come from Guangdong, Zhejiang, and other provinces. Because the reputation of Yiwu market, many business men come to Yiwu market to purchase. The factories choose the market as the window of the new models and fashionable designs. The market is the paradise of shopping. Commodities in the electronics market include clocks, cameras, communication equipments, electronic instruments, house appliances and so on. There are all kinds of brands including global and China top brand. It is very easy to find the famous international brand like Sony, Panasonic, SAMSUNG, and other famous ones. Most of the showrooms are the factory direct sale. And there are some other general agents and exclusive distributors. The variety of the electronic instrument is beyond one’s imagination. Small mixed orders are very easy here. Some buyers from the small company and some just want to have a try order, so they don’t want to place a large order. The mixed designs and mix colors is allowed here in shops of Yiwu electronics industry. But the minimum order quantity is very different here. The electronics market has got the reputation of low price and high quality products; now this reputation is going to be heard by the world. Yiwu is now becoming more and more international. The international business men nowadays would like to purchase in the market. Because of the rich variety of the commodities, it is unnecessary for them to go to different market around the world. Yiwu market can provide all kinds of the commodity with unbeatable price.